Posted on 13/09/2013 by U.N.
Demolition started at the former RG Steel plant in Warren,OH that was purchased by the Hilco company in May. This deal required to market the hot mill for three months before beginning to raze the plant. Those three months expired at the end of August. Founded in 1912 as the Trumbull Steel Co., the mill has a long history in steel production. 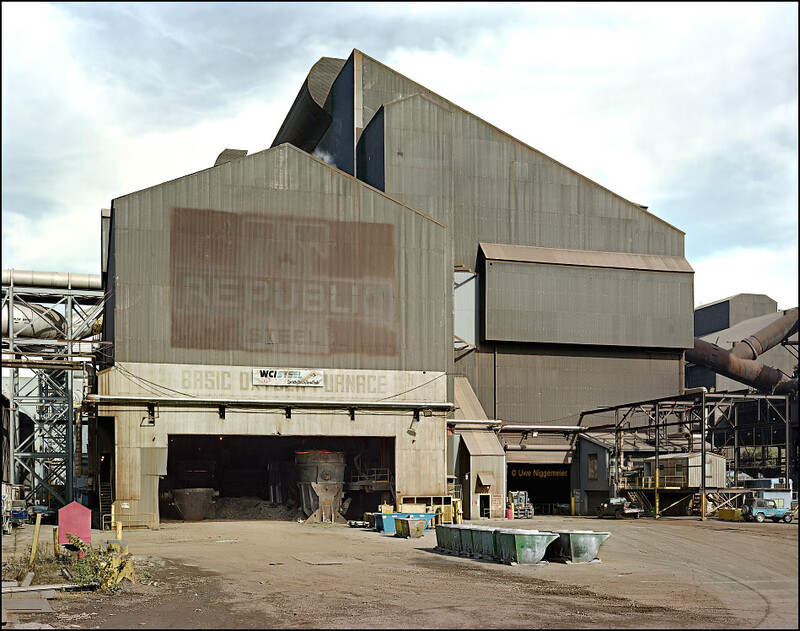 In 1928, the company merged with Republic Iron and Steel Co. and, two years later, was renamed Republic Steel Corp. Another merger changed its name to LTV Steel Co. when it combined with J&L Steel Corp. in 1984. The company became Warren Consolidated Industries, Inc. in 1988. WCI Steel employed 2,600 people, and had an annual steel capacity of 1.5 million tons. In 2008 WCI was taken over by the Russian steel company Severstal. Three years later Severstal sold the plant to RG Steel who filed bancruptcy in 2012. The Warren Blast Furnace once was the largest worldwide. A few images from 2007.